Here it is!!!! This brick three bedroom,two bath 1 1/2 story in Indian Hills on a flat fenced lot is ready for new owners! It is especially nice for entertaining as it has a formal living room, formal dining room,huge den with a fireplace that opens to the big kitchen. Attaching to the den and kitchen is a three season sunroom (310 sq ft, not included in total below). Enjoy the hardwood floors, brand-new roof and super location. There is great play area in the basement for children plus an enormous unfinished space. The two car detached garage has great storage also. Direction: Brownsboro or River Rd to Blankenbaker, east on Apache, north on Travois, east on Commanche Trl and north on street. Indian Hills Cherokee is a subdivision within the city of Louisville, Kentucky. There are currently 2 Homes for Sale within Indian Hills Cherokee, with asking prices ranging from $375,000 to $550,000. The average list price per square foot of the available inventory in Indian Hills Cherokee is $169, which is above the Louisville average of $157. The Average Sales price of all sold real estate in this subdivision for the past year is $596,500. Recent comparable homes have been selling for 98.44% of their asking price. Waterfront homes represent 50.00% of the available Indian Hills Cherokee inventory. The population of Louisville, according to the 2010 Census, is 597,337. The total number of households in the zip code of Indian Hills Cherokee is 13,905, with an average household size for of 2.13 people. The total number of renter households within the zip code of 40207 is 4,301, which means that 69.07% of households in this zipcode are owner occupant households. , Louisville KY 40207 is a Home, with 3 bedrooms which is recently sold, it has 3,720 sqft, < 1/2 ACRE sized lot, and 2 Car Garage,Detached,Driveway,Entry Front parking. A comparable Home, has 2 bedrooms and 2.5 baths, it was built in and is located at 102 Travois Rd Louisville KY 40207 and for sale by its owner at $ 550,000. 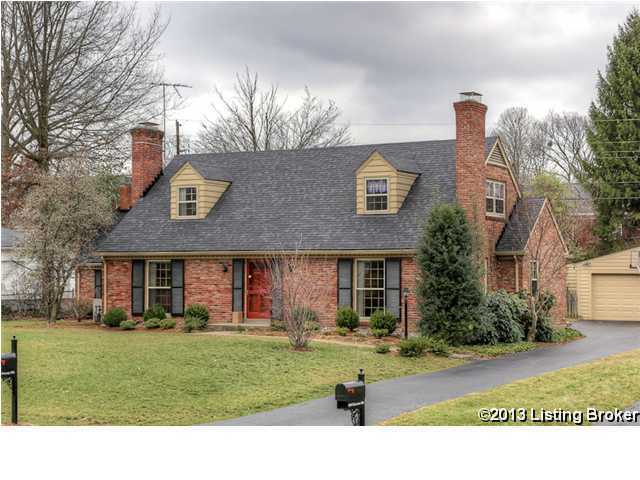 This home is located in the city of Louisville , in zip code 40207, this Jefferson County Home, it is in the INDIAN HILLS CHEROKEE Subdivision, and St Matthews are nearby neighborhoods.